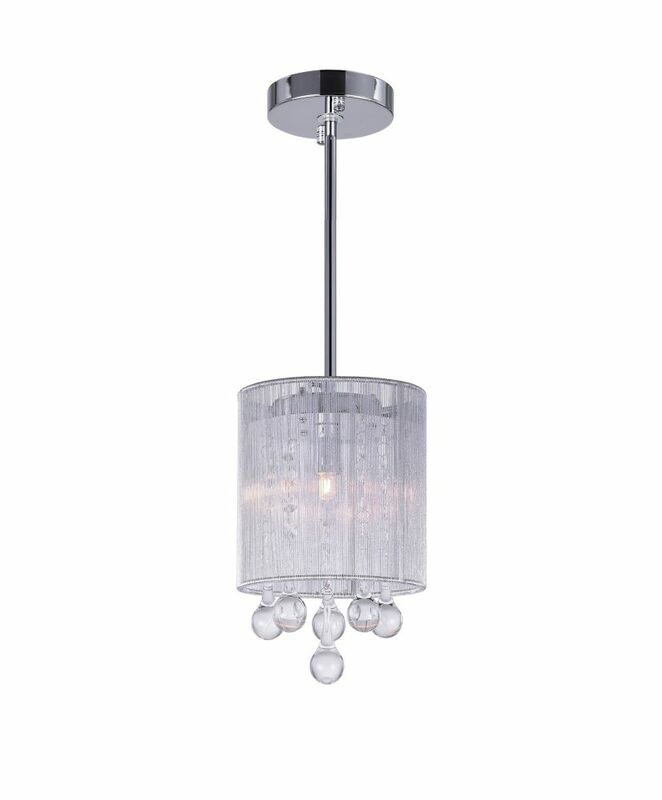 This breathtaking 1 Light Mini Pendant with Chrome Finish is a beautiful piece from our Glitz Collection. With its sophisticated beauty and stunning details, it is sure to add the perfect touch to your dicor. Inspired by nature, this one light pendant is sure to inspire your home. It comes with a scroll vine and leaf motif in a burnished copper finish. Amber glass adds to the appeal. Requires 1 medium base bulb. 60 Watt maximum (sold separately). Water Drop 6-inch 1 Light Mini Pendant with Chrome Finish This breathtaking 1 Light Mini Pendant with Chrome Finish is a beautiful piece from our Water Drop Collection. With its sophisticated beauty and stunning details, it is sure to add the perfect touch to your dicor.